Bottomless guacamole, hybrid movie theater restaurants, historical German breweries and classic Californian cuisine tantalize student groups’ taste buds in San Francisco. Your choir or band group has had a full day of rehearsals, sight seeing and performances. As a director, you want to treat them to an appetizing meal with a variety of options. Not only this, but it’s vital the restaurant has enough seating for such a large group. In a congested and hip city like San Francisco, this can be hard to come by considering its abundance of trendy fads like food trucks and cafes that simply aren’t capable of hosting large student groups. Luckily, we’ve scoped out some of the best eateries suitable for large band and choir groups with a wide range of cuisines to choose from. Here are our top five picks of authentic eateries for student groups visiting San Francisco. 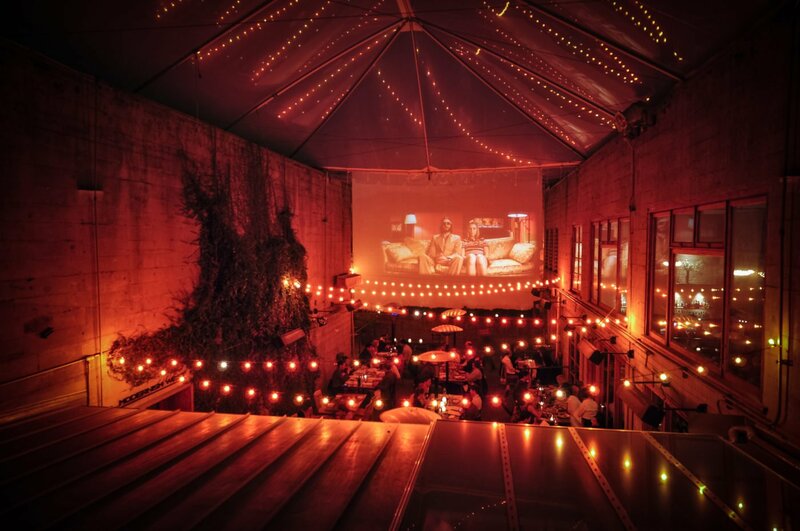 Kill two birds with one stone and entertain student groups while dining at Foreign Cinema in San Francisco’s Mission District. A San Francisco Chronicle “Top 100 Restaurant” for sixteen consecutive years, Foreign Cinema remains a miraculous destination for local, national and international visitors. If visiting for the restaurant’s weekend brunch, student groups can indulge in unique dishes such as organic Pop-Tarts, Santa Barbara smoked salmon or a truffled lager omelet. Dinner specialties include a grilled Kobe flat iron steak; North African spiced lamb riblets or the restaurant’s famous oysters, shellfish and caviar. While student groups are devouring their meals, a nightly featured film is projected onto the alley wall of the restaurant’s charming outdoor patio. As a well-known San Francisco destination for hosting large group get-togethers, the restaurant boasts a number of enormous dining spaces able to accommodate nearly any sized group. Foreign Cinema’s Modernism West Gallery seats 60, features stunning modern artwork, 18-foot ceilings, skylights and a theater quality surround sound audio and visual system. Seating up to 40 students, the Mezzanine overlooks the main dining room and offers a semi-private dining space. For inquiries about Foreign Cinema’s private dining options, click here. 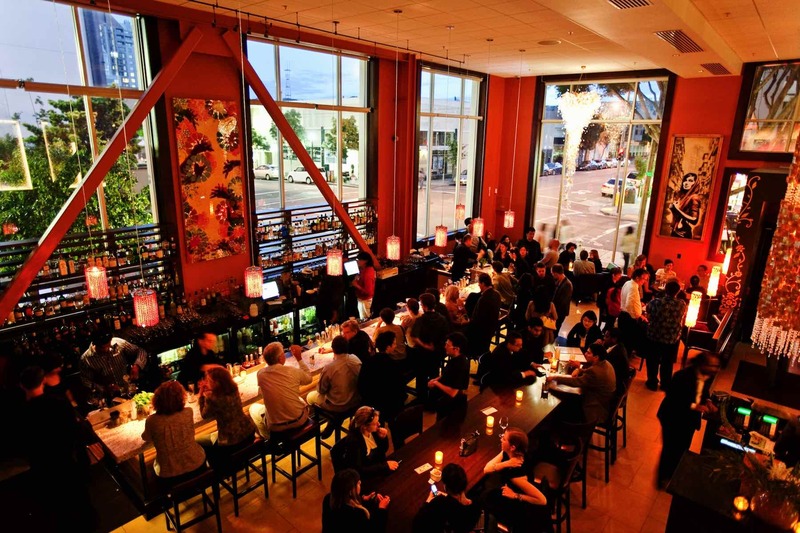 An authentic Mexican eatery, Rosa Mexicano proudly reflects the West Coast attitude and eclectic San Francisco vibe. The 211-seat restaurant features spacious indoor tables, an outdoor patio and a private dining room. Standing out from other San Francisco restaurants, Rosa Mexicano has created their very own festive private event program that can be tailored to your student group’s specific requests. The restaurant’s venue spaces include a semi-private lounge seating 26 guests, the 50-seat Embarcadero Room, the patio accommodating up to 90 guests and the option to rent out the entire restaurant for a capacity of 170 guests. For private parties, the restaurant offers a variety of set menus, including Fiesta de Rosa, a four-course, family-style lunch and dinner menu featuring their signature Guacamole en Molcajete, appetizers, entrees and piping hot Mexican churros. The Stations and Passed Antojitos option allows groups to choose between various bottomless guacamole, ceviche, taco and quesadilla stations. 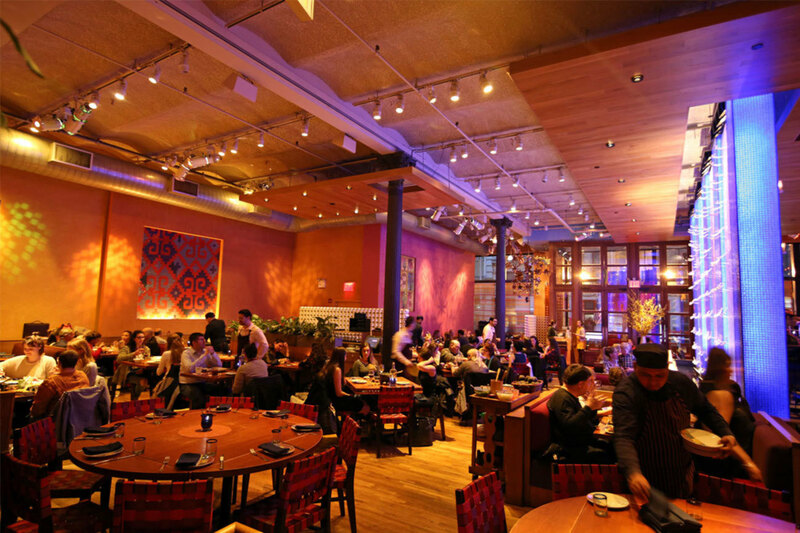 Priding themselves on providing an authentic experience served with Latin hospitality, Rosa Mexicano is an ideal option for choir and band groups traveling to San Francisco. To rent out a space or inquire about their different private party menus, click here. 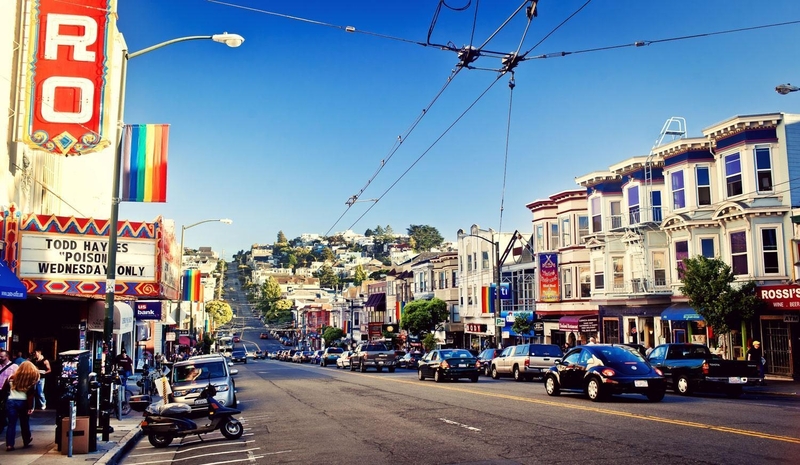 Located in the heart of San Francisco’s lively Castro District and just a stone’s throw away from the Lower Haight and Mission District, Starbelly’s convenient location is just one of many things it offers traveling student groups. Specializing in locally sourced, California comfort food, Starbelly offers seasonal menus for brunch, lunch and dinner. Some fan favorites include Starbelly’s Challah French toast, fried chicken po’boy, homemade chicken liver pâté and butternut squash dumplings. The restaurant’s laid back, cozy atmosphere offers student groups two different private dining options, including a year round, heated patio seating up to 45 guests and a capacity of 65 guests in the private dining room area. Earth-tone colors, an abundance of natural fibers and reclaimed wood, local art and handcrafted elements contribute to Starbelly’s welcoming and personal vibe. To reserve a room for your student group, head to Starbelly’s reservation page. Established in 1893, Schroeder’s combines history with a friendly atmosphere and convenient downtown location. This Bavarian inspired beer hall has been hosting San Francisco residents for over 120 years, making it a well-known favorite for locals. 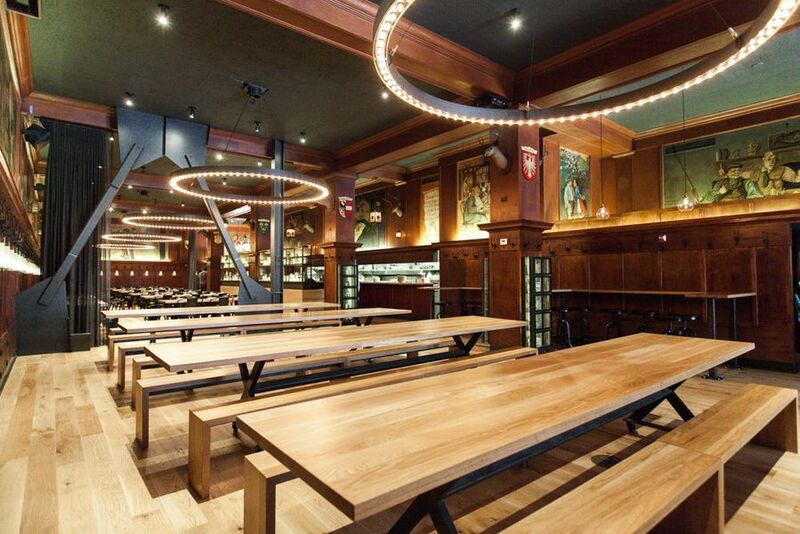 Furthermore, the restaurant features long, beer-hall-style tables ideal for large student groups. Seating up to 275 guests in total, Schroeder’s also offers a semi-private dining hall available by reservation and other private dining options available upon request. Schroeder’s multi-purpose Rear Dining Room features stunning Herman Ritcher murals throughout and seats up to 30 guests. The Private Dining Room seats up to 40 seated guests and Dining Rooms A and B each seat up to 30 student guests. There is also the ability to rent out the entire 5,000-square-foot restaurant with full dining room access and a variety of entertainment options including DJs, live bands and other interactive entertainment. When dining at Schroeder’s, student groups can indulge in some classic German dishes such as bratwursts, schnitzels and Bavarian pretzels. With two San Francisco locations, DOSA serves innovative and authentic South Indian cuisine with more than enough space to cater to large student groups. Owners and spouses Anjan and Emily Mitra teamed up to recreate the magnificently aromatic and complex flavors of Anjan’s mother’s homemade cooking. Both Anjan and Emily wanted to shed light on South Indian cuisine and culture, an area they felt was underrepresented throughout the U.S. The architecture of each location echoes the swiftly changing face of urban India, combining South India’s culture and antiquities with San Francisco’s metropolitan receptivity. The restaurants were also constructed to emulate sustainable and eco-friendly initiatives, including solar-powered water heaters, recycled glass, energy-efficient kitchen equipment and water-conserving appliances. DOSA’s semi-private Fillmore Main Dining Room seats up to 95 student guests, featuring unique décor, dynamic colors and warm lighting. The Fillmore Mezzanine seats up to 55 guests, complete with a comfortable, contemporary and stylish feel. For more information, check out DOSA’s full list of group dining areas. An ideal choice for students with certain dietary restrictions, DOSA features a variety of dairy-free, gluten-free, nut-free, vegan and vegetarian options, such as roasted carrot Masala, almond amber chicken curry and Paneer and butternut squash.